Mouth ulcer treatment. Clinically proven. Unique triple action: Relives pain and fights infection. Forms lign-lasting protective coating. Speeds healing. 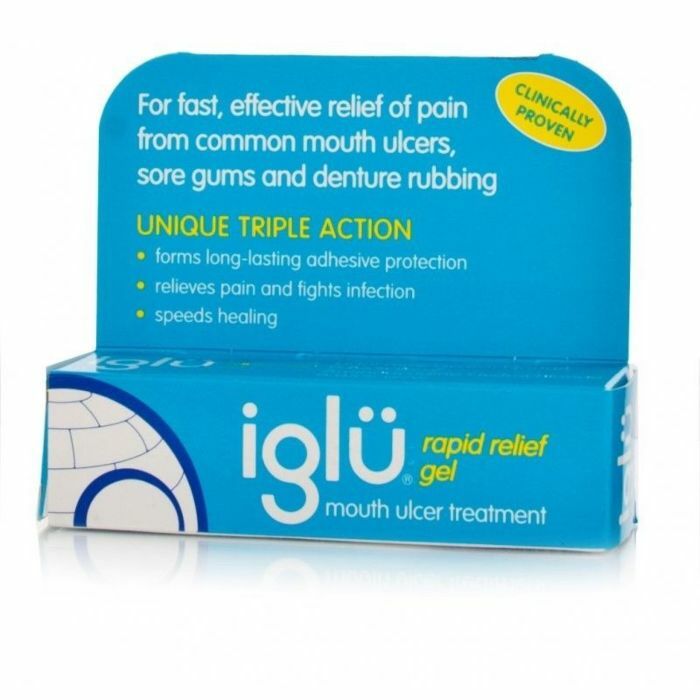 Fast-acting mouth ulcer treatment providing a pain-relieving, antiseptic and long-lasting protective coating. For full details, please read and retain the enclosed patient information leaflet. Apply sparingly, directly to the affected area(s) with a clean fingertip or cotton wool bud. Re-apply as necessary to keep the affected area(s) protected with a thin layer of gel.